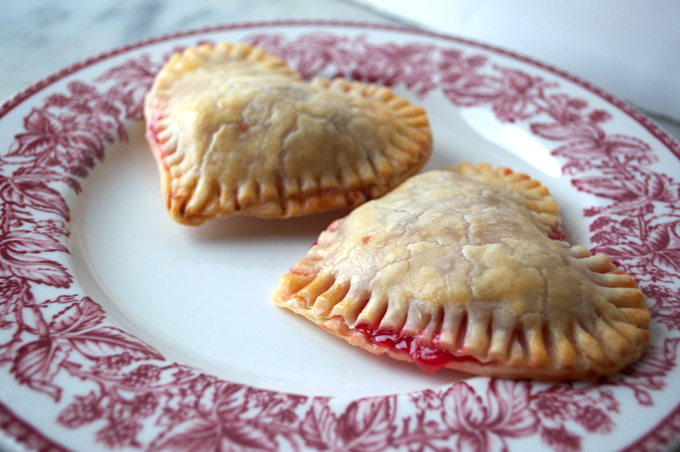 Cherry Pie is always a favorite in my home so I decided to make up a few special pies for my guys. After all we are in the season of love! 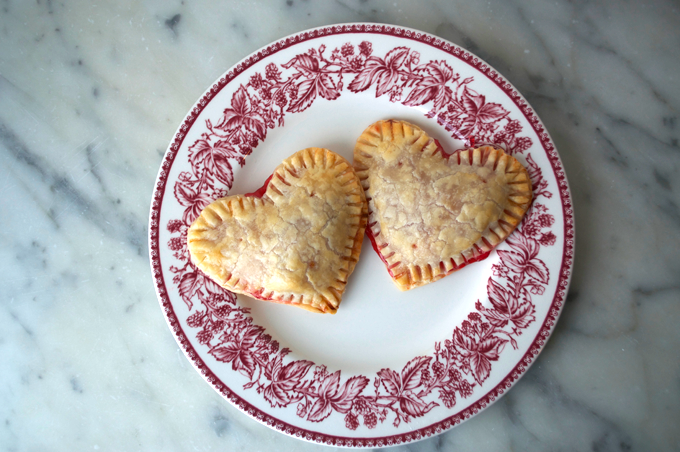 They’re very easy to make and bake up in about 15 minutes. You can use pre-made dough if you wish. 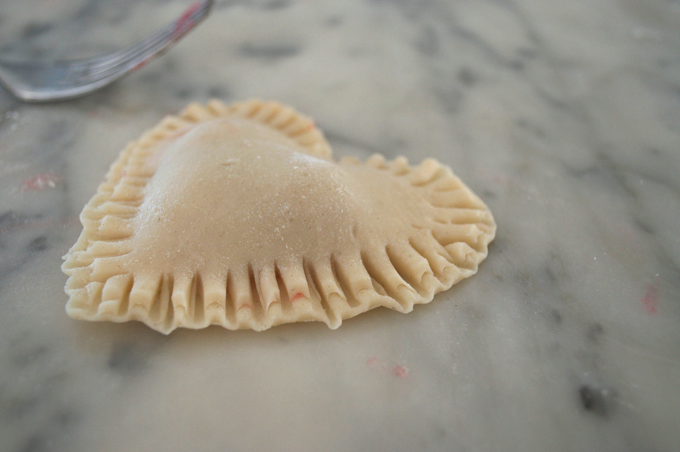 Roll out pie crust dough on a lightly floured surface. 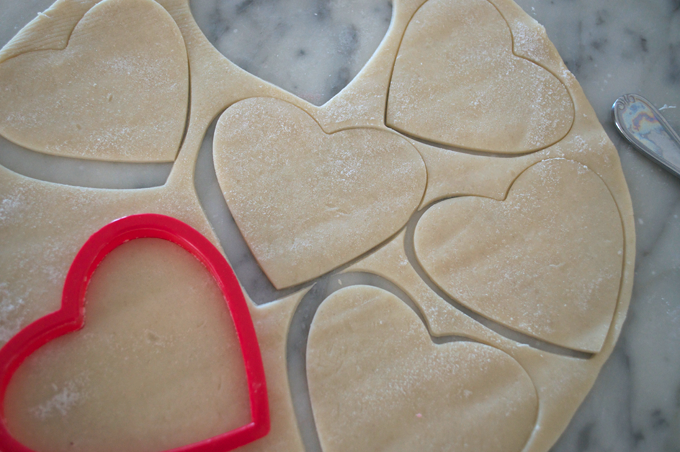 Cut out pastry hearts with a heart shaped cookie cutter. 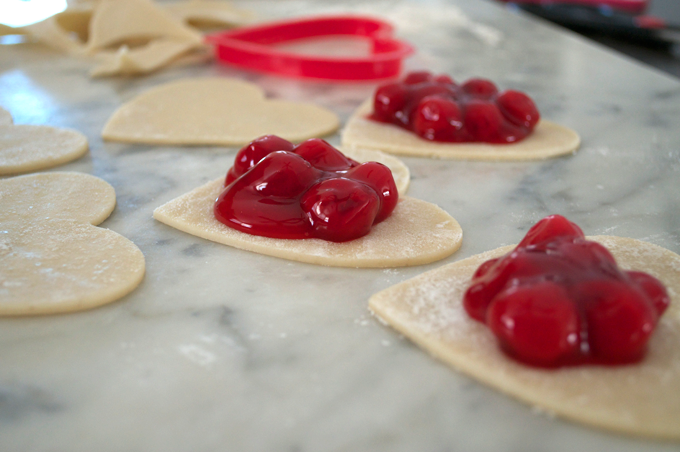 In the center of each heart, place a dollop of your favorite pie filling (of course cherry here). 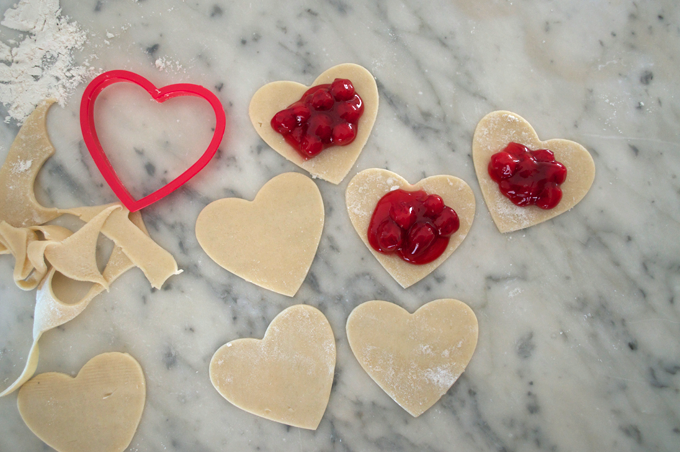 Place another pastry heart on top. 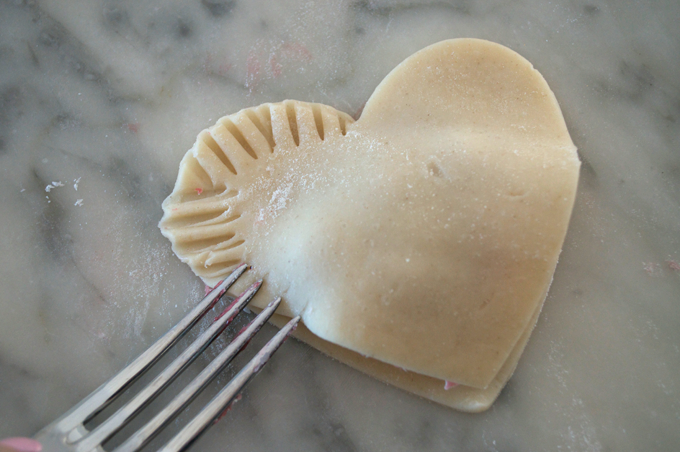 Using a fork, gently seal edges of hearts together. 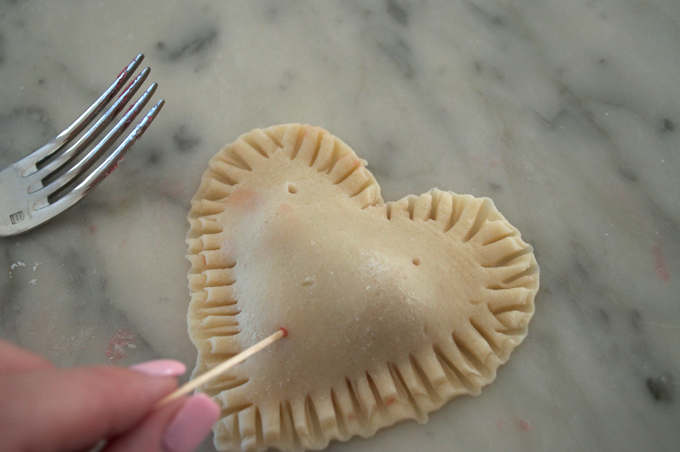 Prick each heart with a fork to allow heat to escape the sweet heart pies as they bake. To get a shiny glaze on your pies brush them with egg whites before baking them. Bake for about 15 minutes, or until lightly browned. Cool on a wire rack. Sprinkle with powdered sugar and serve.